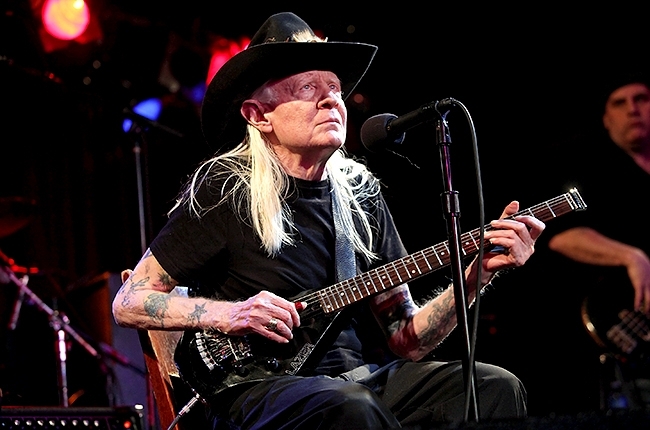 News is breaking this morning that iconic blues musician Johnny Winter, whose career spans half a century, has died. He was 70. Winter’s publicist confirmed the news to members of the press this morning, adding that Winter died in a hotel room in Zurich earlier this week. A statement released along with the announcement said his wife, family and bandmates were all saddened by the loss of one of the world’s finest guitarists. At the time of his death Johnny Winter was still considered a full-time touring musician. His last performance was Saturday, July 12, at the Lovely Days Festival in Wiesen, Austria. You can view footage from that performance at the end of this post. Rest in peace, Johnny. You will be missed.